Micro-finance institutions (MFIs) were supposed to deliver a win-win solution: making money, by doing a public good. But these two objectives turned out to be irreconcilable. A reconciliation was possible only by applying force, which MFIs actually applied, resorting to age-old, time-tested ‘third-degree’ methods. Soon, it acquired a proportion of a socio-political ‘crisis’ in the main theatre of Indian micro-finance industry, i.e., Andhra Pradesh (AP). If one Googles ‘micro credit crisis’, the search engine throws up more than 1.5 million pages within 0.42 seconds. But can one imagine writing a novel based on it? That is exactly what Ramesh S Arunachalam, a known name among development practitioners, an occasional writer for www.moneylife.in, has done. 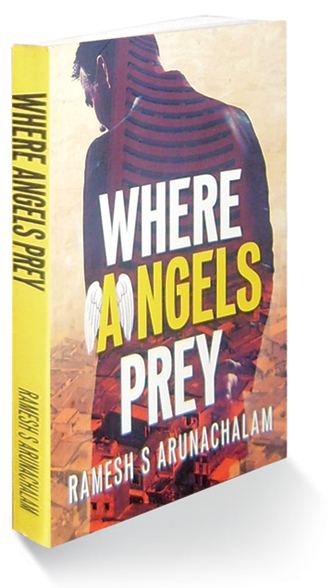 Set against the backdrop of ‘Andhra Pradesh (AP) crisis’, that erupted in 2010, the novel chronicles the events of a 13-month period, from August 2010 to August 2011. Though the story unfolds in villages, jungles, dusty roads and tea-stalls in two districts (Warangal and Ranga Reddy), the reader is also taken to a stock exchange in Mumbai, chief minister's office, secretariat, hotel rooms in Hyderabad, district magistrate’s offices, police stations in district headquarters and newspaper and investment bank offices in New York. The author has consciously avoided using sector-specific jargon and terms; but he has hardly left any important aspect of this sector untouched. Though financial sector is at the centre of the novel, it does not confine itself to the sector to explore the reasons for the crisis; instead, it points to diverse reasons that flow from global capital into MFIs, Centre-state coalition politics, money laundering, political system and musclemen of the local political leaders and many others. Though the novel wears the usual disclaimer that “it is a fiction and does not depict any particular individual/ MFI / Institution in India, existing or past,” characters and events flash continuously in the minds of the readers who have kept track of newspaper reports of events which led to the crisis in AP. The book helps those readers in filling the gaps, joining the dots and unveils the ‘material’ relationships among the all the actors. It informs them why those actors must have behaved in the way they did and no other way. Arunachalam does deliver an ending to satisfy the reader. You cannot forget the burning issues with an ending where the guilty is punished. The reader gets a slap on his face in the last couple of chapters, particularly the Epilogue, which declares that “The moneylenders are back.” It informs that the investigative journalists and the well-intentioned administrators, going out of their way, to book not only the front men butchering the poor people, but even the most resourceful and influential individuals who were actually running the show, fail. The ‘Angels’ are rewarded by the State for ‘serving the poor’ in the form of granting a banking licence. The novel provides the deep insight into the real political economy that influences the functioning of MFIs. Talk of regulating MFIs started after the AP crisis; but our lawmakers are busy with many businesses. The Micro Finance Bill, hanging fire for past many years, is likely to hang where it is in the foreseeable future. Even if passed, it is unlikely that the regulator will have the institutional wherewithal to reach out to remote places in Warangal and Ranga Reddy. The concerns of society will not be limited to wrongdoings in ‘micro-credit’ activities alone. Because there are quite a few new ‘micro’ products, viz., micro-insurance, micro-pensions, micro-housing loans, etc, waiting to target the poorer sections. The clientele of these ‘micro-products’ is identical; the agencies that are going to serve these products are being driven by identical business considerations. They have a grip of identical levers of State machinery, policy-makers and local political networks.